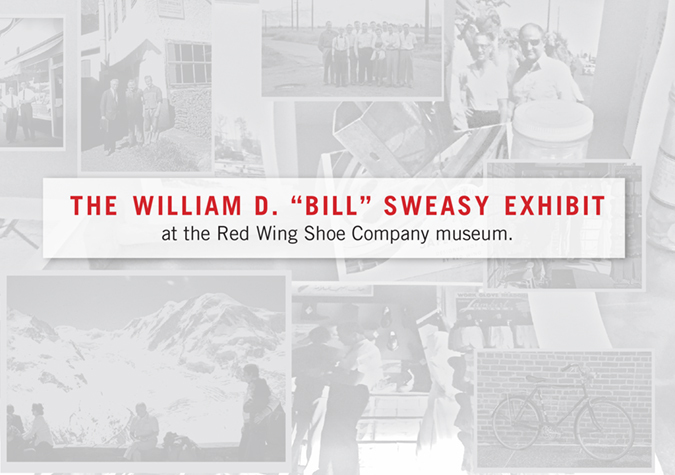 William D. “Bill” Sweasy was President of the Red Wing Shoe Company from 1949 to 1972. He then continued to lead the company as Chairman of the Board of Directors until his death in 1991. His visionary leadership and steady patience empowered the company and its employees to grow in exciting new directions. His guiding principle was simply, “Do what’s right.” This has been and continues to be the foundation for our products, business strategy and employee culture. We invite you to take a step back in our company history to experience the Red Wing Shoe Company under the leadership of Bill Sweasy.